Lithara Maroon coloured Waterproof & Dustproof Washing Machine Cover For IFB TL- SDG 8.0 Kg Aqua Fully Automatic Top Load washing machine@619 Rs [Mrp:-949] - Onlinedeals.discount - A leading product discovery website. Find the true prices of products, read reviews and buy top brand products at reasonable prices. 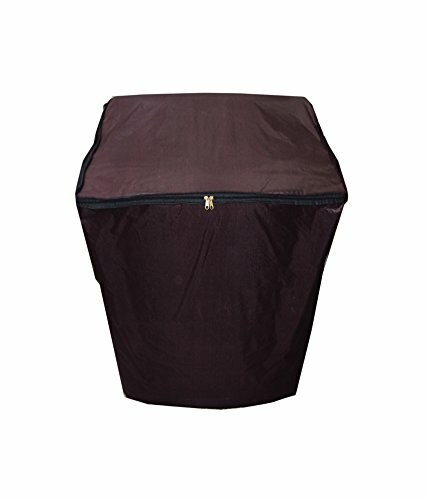 Lithara washing machine covers are made from high quality polyester, highly durable, Tailored as per the dimensions of your washing machine, Helps protect any laundry room environment, prevents the washing machine from any chips and scratches on the surface of washers and dryers, Cover is dust, mildew and water resistant, Eco friendly, Made in India.